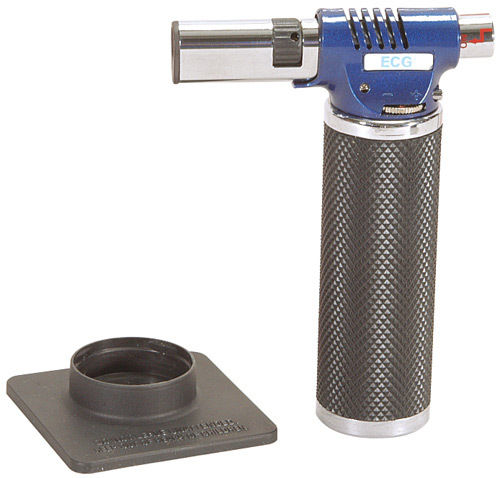 Cordless, compact torch with piezo electronic ignition. Features a 220 minute refillable butane gas tank, adjustable air flow control valve, adjustable gas flow control valve, safety KILL/OFF switch, brass body covered with protective grip and a sturdy removable base for added safety. Approximate temperature +2500°F (+1300°C).